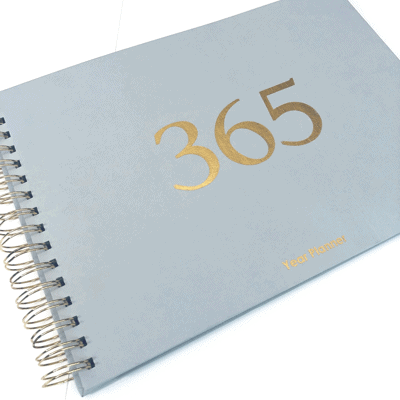 A4 Landscape year planner, with linen light grey hardcover and gold detailing. This product can be personalised if you would like it to be. Inside pages are cream with classic black print. Contains pages for a year plan, month plans and week plans. This product can be personalised. If you would like your product personalised, please add the name / family name to go on the cover. A4 landscape planner with yearly plan, monthly plan and weekly plan pages.